Margaritas are always a fun way to unwind from a stressful day or to start off a fun night out. Possibly the only thing better than a margarita on a hot day is a marijuana margarita on a hot day. The following is a step by step series on how to make a great tasting medical margarita. After you master the basic recipe you can work on making your own variations. Before you begin to make the margarita you need to leave the marijuana seep into the tequila for several weeks. Good things come to those who wait! The first step in all weed recipes is to decarboxylate your marijuana. This step is vital to activate the THC in the cannabis and add some punch to your margarita. Preheat the oven to 120°C and bake in the oven for 20 minutes. Your cannabis has now been decarboxylated. Now it is time to create your medical marijuana tequila mix. Fill your large jar ¼ full of marijuana. Now add the tequila to the jar up to ¾ full. Shake well and leave this mixture to seep for about 3 weeks. Shake the mixture every now and again. After the 3 weeks has finished, strain the mix using a filter. A coffee filter would work ideal for this. One of the reasons that white tequila is recommended is that it will have a green tint to it after the cannabis has seeped in. This effect cannot be seen with regular tequila. Pour this mix into a bottle once strained. You now have part one complete, and have your tequila mix. Now it is time to make the margarita. Put two cups of ice with 8 tablespoons of honey into a blender. Squeeze two fresh limes and add the juice to the mix. Add your tequila mix to the blender, as much as suits your preferences. Blend until smooth. The margarita is now made, and the most difficult part is really waiting 3 weeks for the marijuana to blend into the tequila. Margaritas are typically served with chilled glasses and a salty rim. 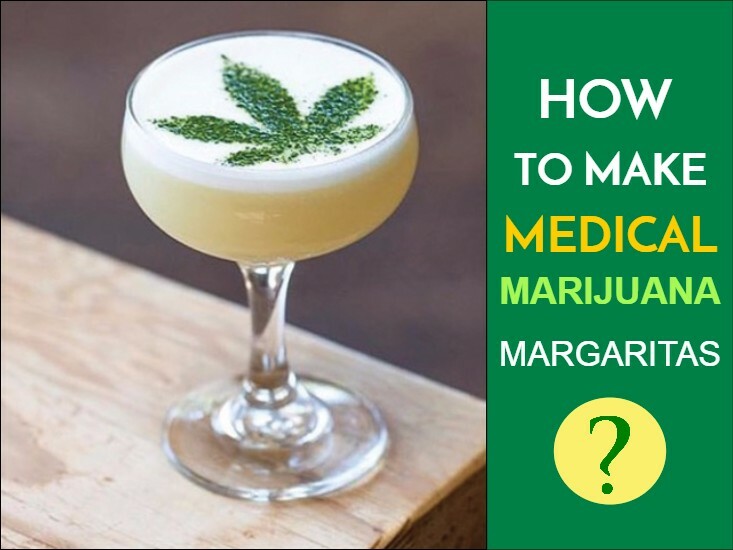 But this is up to you, you are now all set to enjoy your medical marijuana margarita!